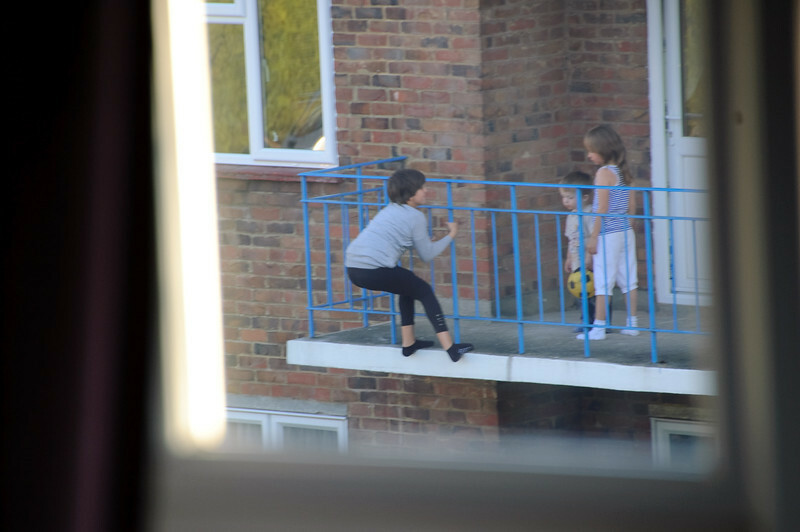 This is after she thought it would be a good idea to stand on the railings between the two flats and also hold the little boy near the top of the balcony rails. I wasn't quick enough to grab my camera for those little stunts. I was a kid once, and I did plenty of stupid things in my time, but the bollocking, and sometimes a jolly good beating, I got when my folks found out was enough to teach me not to do that again, and certainly not right in front of the whole world if I was stupid enough to do it again. Sadly, I don't think the parents are that fussed and it's sad to think it'll take a serious accident before the kids and the parents learn. Oh well, I'll be the first to say "I told you so" when that day comes.